Rajinikanth's 2.0 is now his highest-grossing film in his career. The movie has grossed Rs 150 crore in five days in South India alone. Rajinikanth's 2.0 has turned out to be his biggest hit at the box office. The Tamil superstar's latest movie has broken his previous best of Enthiran (Rs 289 crore) and Kabali (Rs 286 crore) at the worldwide box office. The movie has met with good response for all the three versions – Tamil, Telugu and Hindi. On Monday, the movie witnessed at least 40 percent drop compared to its first-day footfalls across the country. 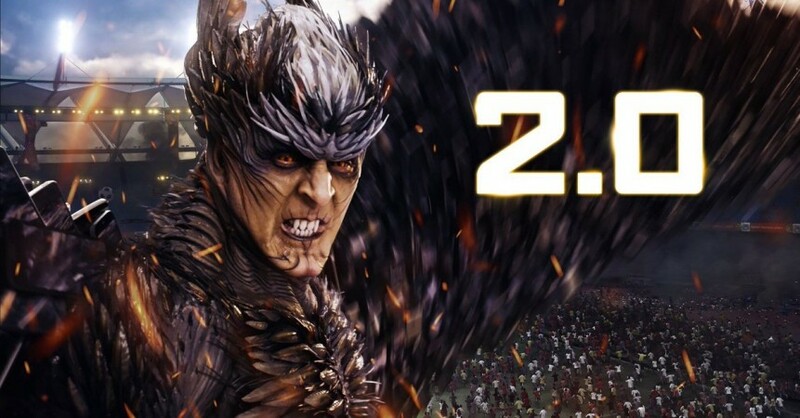 In Tamil Nadu, 2.0 has grossed over Rs 60 crore in five days. Evening shows had better response in Chennai, Chengalpet and Coimbatore on Monday. In Andhra and Telangana, it has raked in Rs 55 crore. Whereas the film has earned Rs 35 crore from Kerala and Karnataka. From all the three versions, 2.0 has grossed Rs 150 crore in five days. In North India, director Shankar's opus has grossed Rs 140 crore. as of Monday, December 4, the film has made a net income of Rs 13.75 crore. The total gross collection of the multilingual flick, starring Akshay Kumar stands at Rs 290 crore. As for overseas centres, 2.0 has earned big numbers in the US and UAE. From reported screens, it has earned Rs 94 crore. It means the Rajinikanth-starrer has collected over Rs 384 crore worldwide. However, the makers claimed on Monday that 2.0 grossed over Rs 400 crore in five days itself.